Did you know that I learnt Japanese for over a year when we were in Sweden? Not that I remember much of it, but my love for the language, the country and the food remains strong over the years. Yes, Japanese food! Does anyone not like it at all? I seriously doubt so. One good thing about returning to Asia means that I can introduce my kids to some delicious Japanese dishes and their current favourites are udon, soft shell crab and chawanmushi. Yes, even Ariel loves all of them! Angel would cutely pronounce it as cha-luan-nu-shi but we all know she is referring to that appetising steamed egg custard which is a must-have every time. That said, at times I do wish that I know of more family-friendly Japanese eateries on the island other than the common ones that we visit. Do you smell what's coming up in this post? 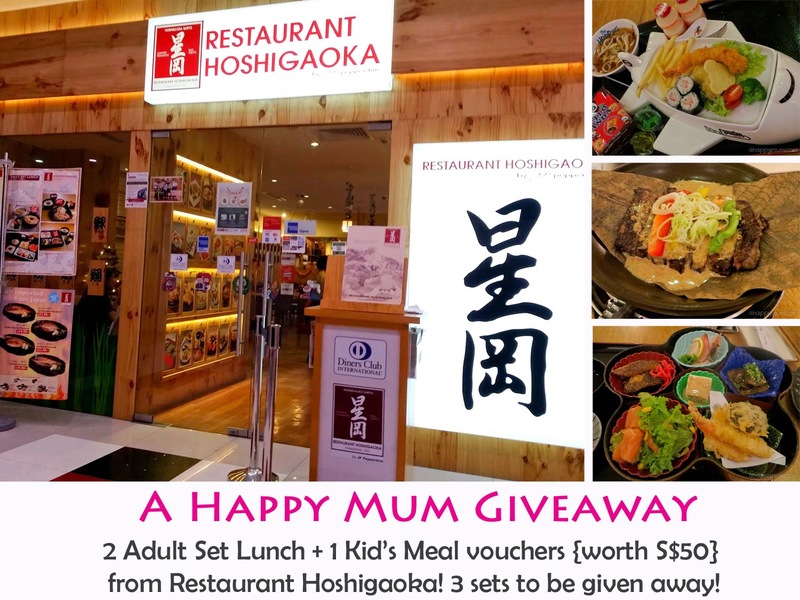 When we were invited to go for a food tasting session at Restaurant Hoshigaoka in SAFRA Toa Payoh, a place that we frequent because the kids get to swim and play, we were delighted to find out that not only have they recently launched a redesigned menu with five signature dishes, they have also introduced a KID'S MENU! 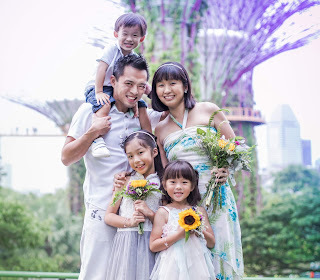 This means that parents can get to savour yummy Japanese dishes while the little ones tuck in and enjoy a hearty meal. With more than 40 years of rich history in serving only authentic Japanese cuisine, Restaurant Hoshigaoka strives to be a top-notch traditional Japanese restaurant in Singapore and its cuisine embodies traditional Japanese cooking, sumptuous dishes and signature Japanese hospitality. The setup of the restaurant, with its warm colours, wooden walls and Japanese-styled decor, provides a cosy and homely ambience for all the patrons. Don't you love how the staff at Japanese restaurants are usually prompt to greet and serve? Those friendly greetings and wide smiles will hopefully help in making the little ones feel more at ease. What was the first thing we were excited to see? Why, the kid's menu, of course! 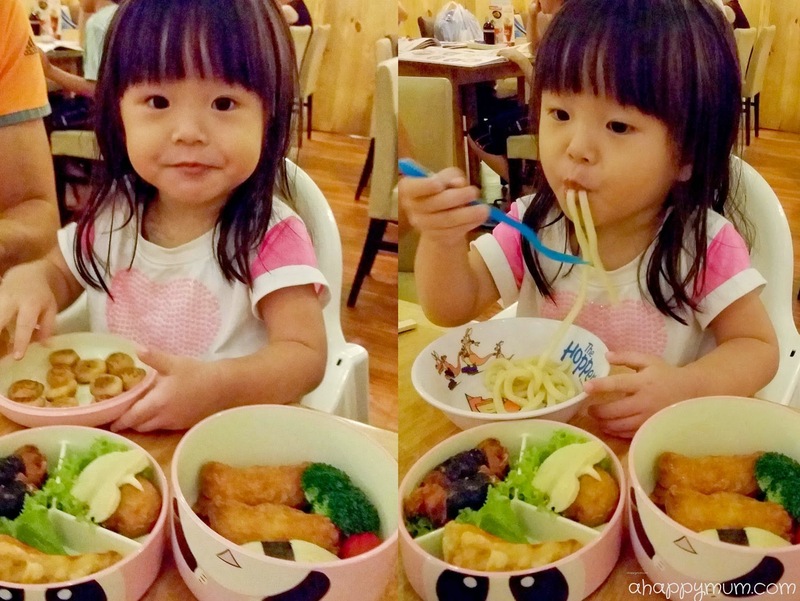 There are a total of four sets (S$9.90++ per set) to choose from and each of them comes arranged in kawaii tableware. Angel chose to go with the Yoko Airlines airplane (Set D) which offers a variety of treats such as crispy prawn coated in breadcrumbs, cucumber rolls, mini udon and French fries. If your kid is like mine and prefers crab stick rolls over cucumber, you can request for a switch. As for Ariel, she tried the Panda Bento box (Set C), which features omelette sushi, octopus balls and chicken wrapped with seaweed. I really love that cute-looking panda box, don't you? One thing you should note is that for every kid's meal, it comes with jelly, Yakult and a snack. If your child will likely go straight for these instead of the mains (my kids finished all the Hello Panda biscuits before they even started the meal proper! ), you might wish to keep them for later. While my kids couldn't finish the veggies or meat, they did gulp down the udon and even asked for a second bowl! Once the kids were happy with their orders, it was time for the hubby and I to sit back and relax (no, that's quite impossible with two animated kids around). The first dish we tried was the Mentai Potato Salad - which consists of assorted vegetables, potato salad, spicy cod roe mayonnaise with sesame dressing. I must say it tasted better than it looked and was somewhat refreshing and appetising too! My favourite dish of the day was the Goma Beef Houba Yaki - yes, we are quite the beef lovers! Served on a magnolia “Houba” leaf with sesame sauce and garlic marinate, the beef slices (so called "30 days Aged New Zealand Rib Eye Beef") were surprisingly tender and flavourful. A must-try in my opinion. For our main dishes, we were served with the Hoshigaoka Zen which comes with appetiser, sashimi, salad, tempura, gindara teriyaki, beef misoyaki, rice, miso soup, chawanmushi and matcha ice cream. I have to say that the gindara teriyaki was a little too salty for my liking and the sashimi was not as fresh as we expected. Even though this was touted as the iconic set dish, we found it a little too commonplace. In comparison, I much preferred the Black Pepper Gindara Teishoku which features a tender codfish drizzled with homemade black pepper sauce, served with asparagus, sliced onions and carrots. If you are thinking "Oh, codfish! Good for my kid! ", you might wish to think twice because this particular fish is well-seasoned and bursting with flavour. The black pepper taste might get a little too overpowering for the little ones so keep this for your own taste buds. Oh, you might wanna share the deep fried chicken and chawanmushi instead! Lastly, for dessert, we gave the Tempura Ice Cream a try. Crispy on the outside, cold on the inside, something which I thought was quite unique but no, I wouldn't be able to finish one of this on my own unless I wanted to have a bloated stomach. All in all, I can't say that we were blown away by the whole experience but it was definitely an enjoyable first family session at Restaurant Hoshigaoka. While the food might not be the best Japanese food we've tasted, given its affordable menu pricing, pleasant environment and good service, this place is definitely value for money. The way I see it, we will be back again. Many thanks to Restaurant Hoshigaoka for having us! For more information on Restaurant Hoshigaoka, visit its website or Facebook page. I don't always get to do any food-related giveaways but here's one if you are keen! This giveaway is open to all readers residing in Singapore only. Three different winners will be randomly chosen. To participate, leave a comment in this blog post with your name, email address and tell me which is your favourite set in the Kid's Menu. Indicate in the Rafflecopter widget that you have commented and to increase your chances of winning, you can choose to carry out the rest of the options. Good luck! Disclosure: We were invited to a food tasting session at Restaurant Hoshigaoka in SAFRA Toa Payoh. All giveaway prizes are kindly provided by JP Pepperdine. All opinions are our own. Kawaii!!!! 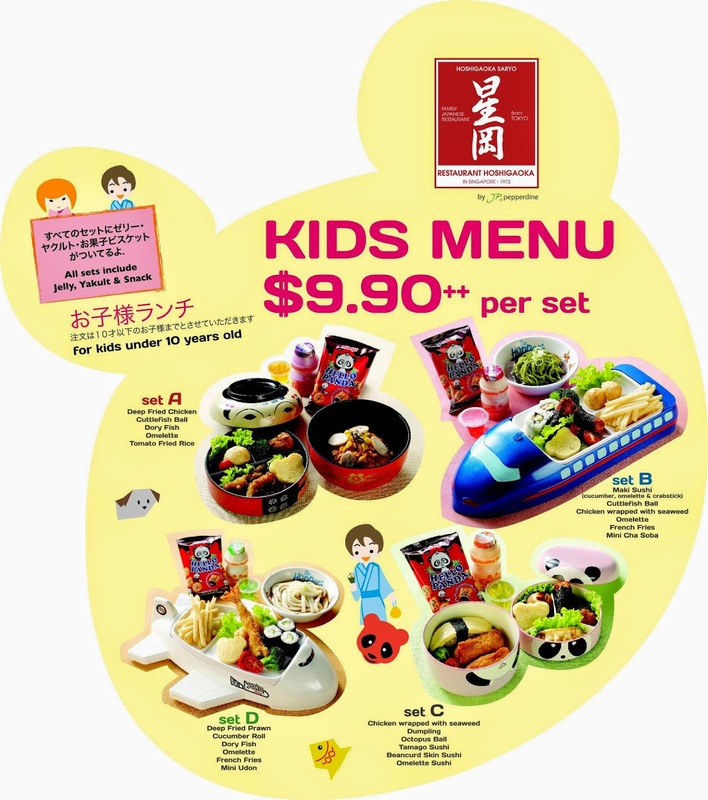 I likes Restaurant Hoshigaoka kid's menu all looks so Kawaii!!! My favorite kid's menu is Panda Bento box (Set C). I'm sure both my gals will enjoy the kid's menu if we go Restaurant Hoshigaoka. My kids love aeroplane & train! So it's Set B & Set D! Udon & fries are my kids favourite. They will definitely choose Set D.
My boys love aeroplane! So set d! Set C or D would bring a smile for my girls! Lovely! Thank you for the chance...my youngest would love set D comes with mini udon her forever favourite. Set B, my kids love Shinkansen! I choose Set B cause my nephew loves train so to present his meal in such a way will surely delight him =) And he loves his noodle! Just like me so the cha soba is a great addition to the meal. Favourite set wld be Set D as my daughter loves udon and fries; best of all, seved on an aeroplane! My kids love the aeroplane & train (Set B & Set D). I would choose Panda Bento Box. I can so imagine my boy going after the yakult first. My kids love Panda bento box. They love pandas! My kids will take set D with crabstick roll! Set D: who can resist food served on a kawaii aeroplane crockery??? Both my girls love set C, panda bento set. 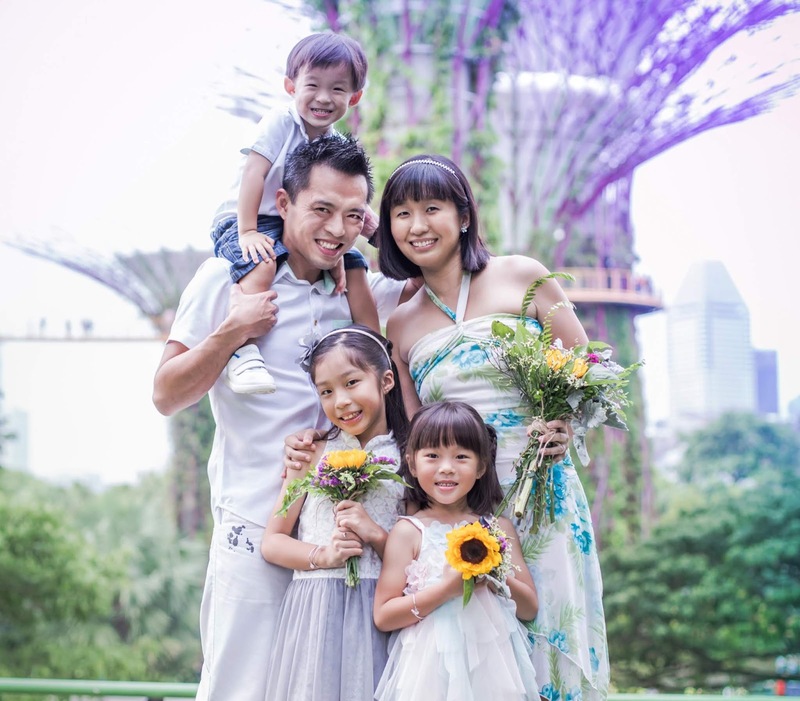 Would love to win the vouchers so that we can go there for lunch after kids amaze play! Thanks a lot for arranging this giveaway! Definitely Set B for both the Shinkansen and the maki sushi and chicken wrapped with seaweed. Yummers! Set B Train & Set D Airplane. My kids would love set A. My son will most probably go for Set B as he loves trains! My girls will go for Set C, the Panda Set. My kid will love Set D.
Set D looks so yummy to my gal! The favorite will be Set B! Set D cos my son loves aeroplane! Set D because it has all my girl's favourite foods especially udon! My favourite set is C. It comes with my girl's favourite Omelette and Beancurb Skin Sushi.